WESTMINSTER, Calif. — Musical pioneers who were at the forefront of the Jesus People Movement in the 1960s and '70s performed a half-day long reunion concert held at Calvary Chapel Pacific Coast earlier this month. While some may have hoped for a revival in a more public sense, the event transformed into an intimate look at a family of virtuosos who love Jesus, each other, and their ministries. Legendary rock and blues vocalist and harmonica player, Darrell Mansfield, told this reporter before the Jesus People Reunion concert began that perhaps this is what God wanted all along. Jesus might not be so much interested in a revival on some grandiose scale, but on a personal level with each of us, individually. "To me this is a high school reunion and Jesus," Mansfield explained. "I spent so many years touring with these men and women of God that serve the Lord. I have a lot of great memories — globe trotted over the whole world. To be here is a blessing." Throughout the day, pastor Oden Fong of the group Mustard Seed Faith, who had the vision for the event, could be seen catching up with old friends and sharing stories and chuckles. "Our mission was simply a family get together of both the artists and the people whom we have loved and ministered to throughout the years, but especially during that time between 1970 and 1980," Fong said at the event, which was held on June 13. "The visible Jesus People Movement probably was more around 1965 to 1975. It was a powerful move of the Holy Spirt; a true revival of souls." He added, "We did not care about the size of the event, rather the spirit of the event. We wanted a reminder of what our faith is all about, which is Jesus! So, in that respect, the mission was completely accomplished." Fong said friends such as Mansfield, Dennis Agajanian, Bryan Duncan, members of Sweet Comfort Band, and other "old music pioneers" could show "our battle scars and laugh about them." "It was much like old soldiers who have gone through the same war and talk about the many battles they experienced and lived to tell about them," he said. "The people who came stayed all through the many hours and enjoyed their fellowship with one another as well as the music which was at once familiar to them." 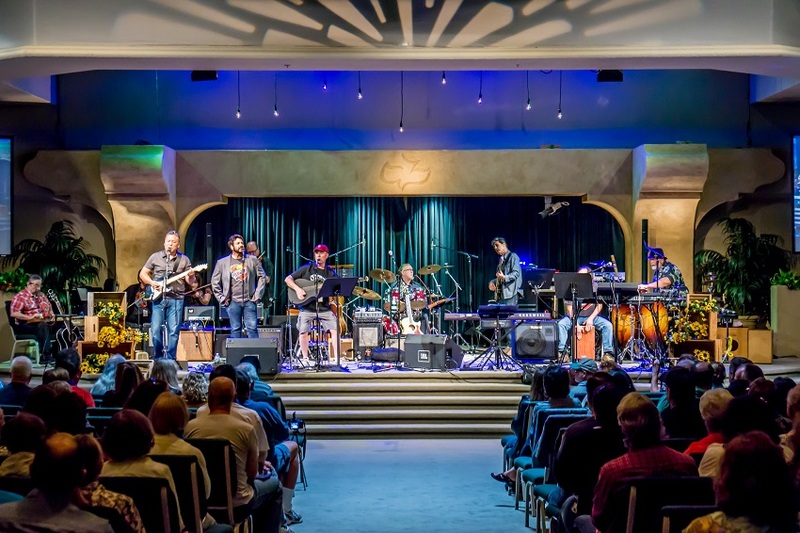 Musical pioneers who were at the forefront of the Jesus People Movement in the '60s and '70s performed a half-day long reunion concert held Saturday, June 13, 2015, at Calvary Chapel Pacific Coast. Fong felt that a full-church attendance (about 1,000) along with 15,000 viewers of the live webcast "without any advertisement, except for Facebook and word of mouth, reveals that God really brought the whole thing together and accomplished many different things through the event." He said it also revealed that there are people who "never get out anymore who are watching and listening." "I want to see more ministry take place using this information, perhaps an investment in streaming Bible studies and classic Jesus music online at certain times of the day. The artists of my generation have very few places to minister any more, but they still have a lot of spirit fuel in their tanks," Fong revealed. "As the 21st century church is looking and turning toward the youth, the world and the church will belong to the younger generations (as it should be). What I want to see is the younger receiving from the elders. How can we help to facilitate a bridge of mentoring between generations? If there is no bridge, the church may resemble a movie prop — beautiful on the outside but nothing of true Spirit behind it." Perhaps others today can experience what Mansfield said he experienced as a "hippy" going to hear Calvary Chapel and Jesus Movement founder Chuck Smith. "I got to church and pastor Chuck was sitting on a stool and he was (singing) 'Happy, happy, happy, happy are the people, God is Lord, happy. And I'm (thinking) 'this dude is on acid, man. These guys are all loaded. Don't tell me … Laguna Beach ain't too far from here, man. They got sunshine, acid going around; look at these barefoot … aw, there's no way. Yeah, you're happy, how many tabs of acid did you take?' That was my first experience of Chuck Smith in 1969," Mansfield said. Then, at another service led by Smith in 1970, more was revealed to him. Instead of clapping at the end of each song, those in attendance pointed skyward, toward Jesus. "I thought these people are really cool. It's not about them. It's about Jesus. These people are for real. That just blew me away," he said.